So I had a chance to try out the new Bissell Symphony vacuum steam mop and my initial reaction is WOW. 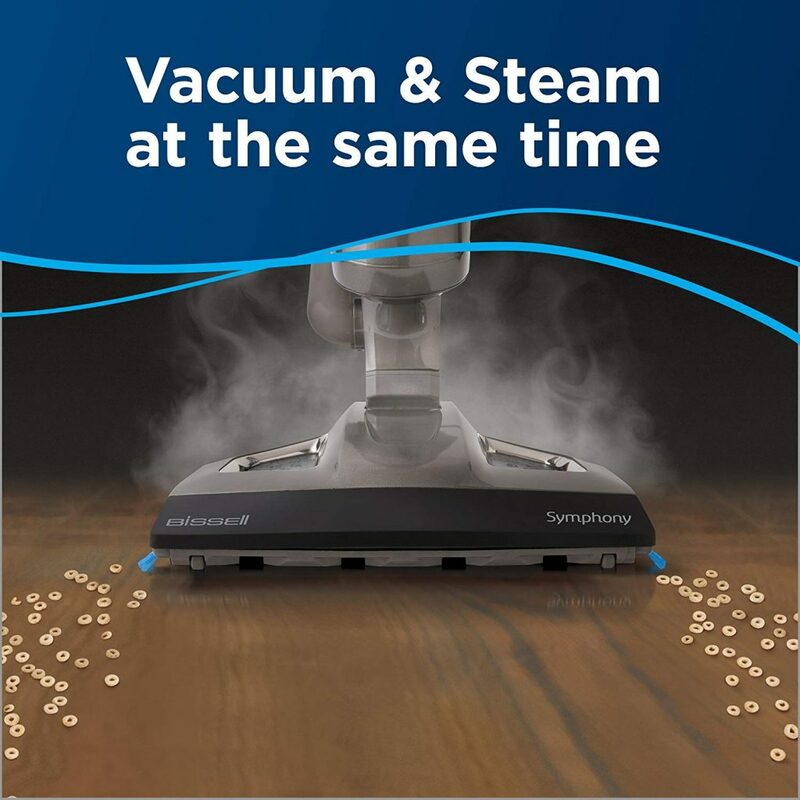 This vacuum will literally cut your cleaning routine time in half and instead of having to vacuum your hardwood floors first and then come back with the steam mop after the Bissell Symphony allows you to vacuum up debris and dirt and steam clean them at the same time. I would definitely replace my non-steam vacuum with this Bissell model. Some of the cool features this Bissell Symphony Steam Mop has include the dry tank technology which keeps the moisture out of your dirt tank so it’s not a complete mess when you try to empty it. 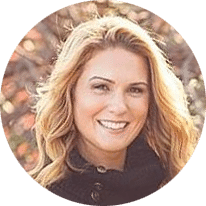 The cyclonic vacuum has plenty of suction to grab even larger debris on your hardwood floors. The mop pads, which are microfiber, are easily changed with the detachable mop pad tray. With the Bissell Symphony you get one washable soft mop pad and one washable scrubbing mop pad. The Easy Touch digital control features lets you easily change between functions while you’re cleaning so you can be vacuuming and steam cleaning at the same time or separately. You can adjust the amount of steam the mop is producing also from low to high steam settings. We have hardwood floors throughout our entire house and we have tile in all of the bathrooms and the entryway. The Bissell Symphony works great on all of the hard surfaces. With two kids and a couple of big dogs, needless to say there’s a lot of mess on the floors on a daily basis. The Symphony vacuum had no problems with the pet hair, food, Lego’s and just about anything else that was dropped. It’s also nice to have the floor steam cleaned without any harsh chemicals. The microfiber pads are going to get dirty fairly quickly and even though you can machine wash them they tend to still look dirty even when they’re probably clean. I recommend buying a couple of extra pads just so you’re not using the same one over and over again. 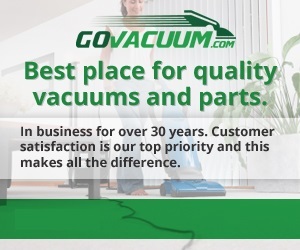 You can even use this vacuum on carpet and rugs however it performs much better on hard surfaces as that is what it was designed for. I found it cleans Hardwood and tile surfaces even better than a traditional Swiffer. It’s lightweight and easy to maneuver which makes it comfortable for just about anybody to use. I absolutely love the Bissell Symphony vacuum & steam mop and wouldn’t hesitate to replace my current vacuum and separate steam mop with this model immediately. It cuts your cleaning time in half, which is worth the price by itself for me. I like having my hardwood floors clean all the time and I may even be a little bit OCD about it so being able to keep my floors clean and steam them with a streak-free finish makes me extremely happy. This Bissell won’t break the bank either at around $160 depending on where you find it.